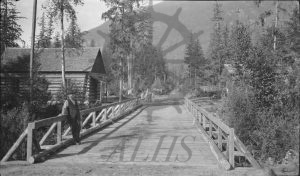 Bridge over slough at West Demars, September 1921. West Demars School at left, storage shed for school at right. 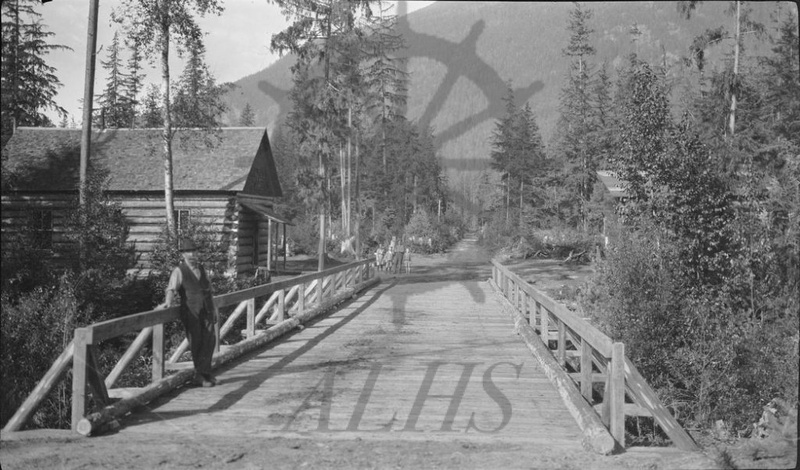 Jack Slade standing on bridge at left, four children at foot of bridge in background (L-R: Flora McNab, Jim Wells (son of teacher), Otto Karsten (13 years old), Emmit McGill). Ida Crawford taught at school in 1920-21.